The 2019 KIA Sorento and the 2019 Hyundai Santa Fe are both popular compact crossover SUVs. But which one is the best for you and your family? 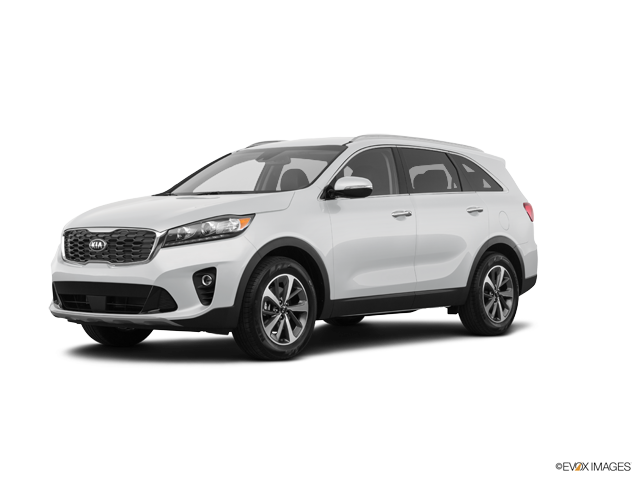 To help you make the best informed decision, Carriage KIA has create a comparison review of both the 2019 KIA Sorento and the 2019 Hyundai Santa Fe. This review will look at both vehicles in three categories important to the future SUV buyer. In the first comparison, we will look the key overall features of the 2019 KIA Sorento vs 2019 Hyundai Santa Fe. The second comparison will look at the performance number of both SUVs. Finally, we will take an all-important look at the safety features of both the 2019 KIA Sorento vs 2019 Hyundai Santa Fe. The 2019 KIA Sorento offers the following key features: 4-Wheel Disc w/ Antilock Braking System (ABS), Body-Color & Heated Outside Mirrors with LED Turn Signal Indicators, Solar Control Glass, Projector Beam Headlights, UVO play with 7.0 inch Touch-Screen Display, 6 speakers, Rear-Camera Display and Bluetooth® Wireless Technology Hands-Free Connectivity. The 2019 Hyundai Santa Fe offers the following key features: Projector headlights, LED Daytime Running Lights, Solar control front glass, 6-way adjustable driver seat, 7-inch display audio system, and Rear View Monitor with parking guidance. Overall, the KIA Sorento offers more advanced key features than the 2019 Hyundai Santa Fe. The 2019 KIA Sorento comes standard with a 2.4 liter DOHC 16-valve Inline 4-cylinder engine that offers up to 185 horsepower and 178 foot-pounds of torque. There is also an optional 3.3 liter DOHC 24-valve V-6 engine that offers up to 290 horsepower and 252 foot-pounds of torque. The 2019 Hyundai Santa Fe comes with a standard 2.4 liter inline 4-cylinder engine that offers up to 185 horsepower and 178 foot-pounds of torque. There is also an optional 2.0 liter inline 4-cylinder turbo that offers up to 235 horsepower and 260 foot-pounds of torque. Overall, the 2019 KIA Sorento offers a more powerful V-6 engine than the 2019 Hyundai Santa Fe. At Carriage KIA, we consider safety to be the most important part of any vehicle. With that in mind, we are providing this comparison of both active and passive safety features of the 2019 KIA Sorento and the 2019 Hyundai Santa Fe. The 2019 KIA Sorento offers the following key safety features: Dual Front Advanced Airbags, Vehicle Stability Management (VSM), Electronic Stability Control (ESC), Traction Control System (TCS), Electronic Brake-Force Distribution (EBD), Brake Assist System (BAS), Hill Start Assist Control (HAC) and Tire-Pressure Monitoring System (TPMS). The 2019 Hyundai Santa Fe offers the following key safety features: Front seatbelt pretensioners and load limiters, Power window lock-out button, Anti-lock Braking System (ABS) with 4-wheel disc brakes, Electronic Stability Control (ESC) with Traction Control System (TCS) and Brake Assist (BA), Vehicle Stability Management and Tire Pressure Monitoring System (TPMS) with individual tire indicator. Overall, the 2019 KIA Sorento offers more advanced active and passive safety features than the 2019 Hyundai Santa Fe. Carriage KIA invites you to test drive the 2019 KIA Sorento and see how it compares to the 2019 Hyundai Santa Fe. Our sales team places the utmost importance on customer satisfaction and will be more than happy to answer any questions you may have about the 2019 KIA Sorento.